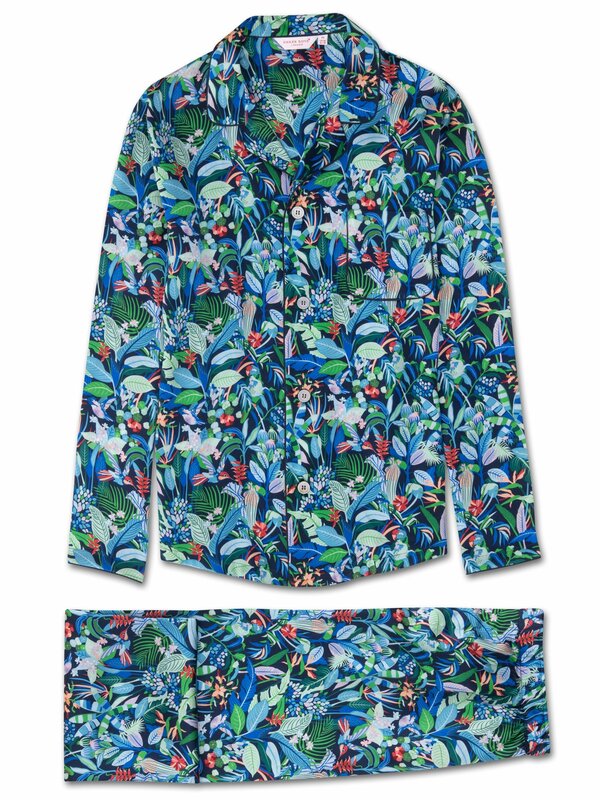 Take yourself away from the hustle and bustle of life and relax in indulgent pure silk with this intricate hand-drawn botanical print pajama, inspired by Southern California wildlife including parrots, hummingbirds and a variety of palms. Handmade in our workshop in Cheshire, England, the Brindisi 34 modern fit pajamas are cut by hand to ensure we uphold the supremely soft satin finish. 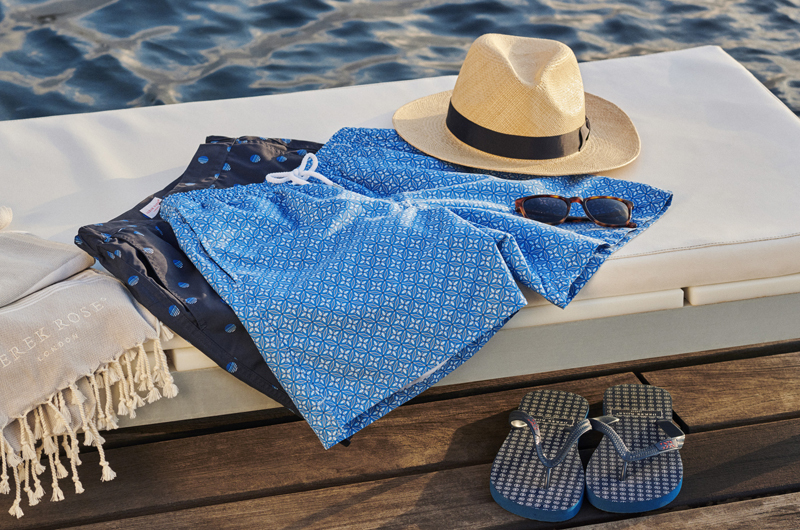 Produced in extremely limited quantities and the result of hours of loving craftwork by our skilled pattern cutters and seamstresses, you're sure to feel like royalty while lounging at home in our luxuriously comfortable silk sleepwear. Like all our modern fit pajamas, this style is designed for a more contemporary cut; one that is closer to the body without being restricting. The jacket features a sartorially-inspired curved collar, mother of pearl buttons and a piped breast pocket. Furthermore, the rest of the jacket is piped throughout with a complementary navy piping.